Although telestroke programs show more success in bringing stroke care to patients, lingering challenges have prevented widespread implementation. The argument in favor of stroke telemedicine, or telestroke—the services in which neurologists offer remote treatment to patients who have had a stroke—has been growing. Many supporters of telestroke point to its ability to improve patient outcomes, although the implementation of these systems require overcoming a few obstacles. 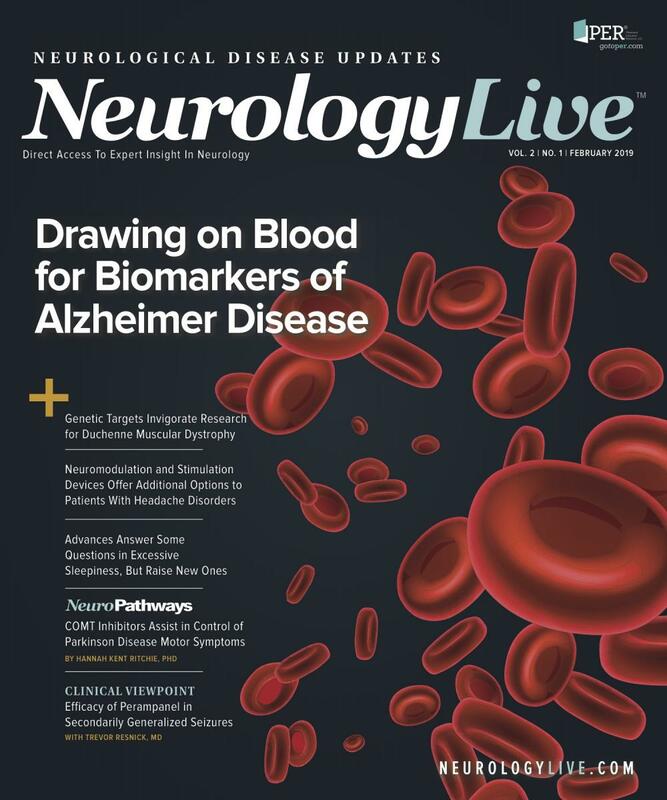 In a 2009 study, Capampangan et al compared telephone with interactive audiovisual communication through telemedicine for remote emergency consultations in assessing neurologic deficits due to stroke.9 The investigators wanted to establish the efficacy of telemedicine in determining patient eligibility for thrombolytic therapy. Participants in the single randomized, blinded, prospective trial included consultant and resident neurologists, clinical epidemiologists, medical librarians, and clinical content experts in the fields of vascular neurology, emergency medicine, and telemedicine. Through a clinical scenario and structured questions, the participants declared decisions based on their devised search strategies, best evidence, critical appraisals, and summarizations of evidence. The investigators determined that correct stroke treatment decisions occurred more often in the telemedicine group (98%) versus the telephone-only group (82%). The former was more sensitive compared with the latter (100% vs 58%) and more specific by a measure of 98% to 92%. The telemedicine group also had higher positive predictive values (94% vs 76%) in determining thrombolysis eligibility. A potential limitation of telestroke involves the lack of in-person physical examinations before consulting neurologists make critical treatment decisions. To look into that issue, Sinn et al conducted a retrospective study comparing patients who had received intravenous thrombolysis (IVT) through telestroke between January 2013 and October 2014 with patients who had IVT directly in-house in the same time period.10 The investigators sought to determine whether telestroke was associated with increased frequency of stroke mimics (SM). AIS was confirmed by radiological evidence or clinical evidence of symptoms persisting more than 24 hours, with other etiologies excluded. SM was defined as lacking radiological evidence of acute localized cerebral ischemia related to presenting symptoms and was further identified using 24-hour observation of post-IVT images and primary discharge diagnoses. Residual cases were reviewed by 2 vascular neurologists and 2 board-certified neurologists, who defined them as SM or as neuroimaging-negative cerebral ischemia. The group found that of the 195 patients in the telestroke group (mean age, 64.0) and the 88 in the in-house group (age, 64.3 ±15.5 years) who received IVT, good functional outcomes were 49% and 43%, respectively. In the telestroke group, 27.2% had SM compared with 14.8% of the in-house group. Among the key findings: Telestroke under the “drip and ship” paradigm—that is, administering tPA at a frontline hospital, following by immediate transportation to a stroke care facility—was associated with increased frequency of SM in patients who received IVT compared with those who were evaluated in-house and treated with IVT. The investigators acknowledged that their multistep method of identifying SM may have led to higher frequencies of identified SM than in similar studies which used at least 1 of 3 methods, or any of the 3 in combination that included radiological evidence, retrospective review, or alternative diagnoses at discharge. Another major challenge to stroke assessment involves the geographic barriers that prevent patients from arriving at an appropriate center of care within the window of time for achieving a positive outcome. In a 2016 observational retrospective cohort study,11 Hubert et al found that decentralized thrombolysis service through telestroke in rural populations can achieve rates of door-to-needle time and tPA administration similar to those of a centralized system for an urban population. The investigators compared time delays of treatment initiation after onset between a centralized hospital and a decentralized hospital, expressed as onset-to-door time, door-to-needle time, and onset-to-treatment. They studied the time delay rates at centralized Helsinki University Central Hospital (HUCH), which for a time was the only hospital in the province of Uusimaa, Finland (2011-2013 mean population, 1.56 million), to provide thrombolysis for stroke. Although most residents were in Helsinki and its surrounding metropolitan area, the rest of the population lived in areas where driving to treatment could take up to 90 minutes. HUCH had a neurologist and resident on-site 24 hours a day, 7 days a week. Due to province-wide ambulance service, a stroke consultant could be contacted in transit by mobile phone to prepare for the patient’s arrival based on relevant details, medical history, and tPA eligibility. At the hospital, patient medical records and any prior imaging and lab test results could be analyzed, the patient was preregistered, and any necessary lab tests and imaging were ordered. With the aim of providing an update on the development of the telestroke web-based program at the Medical University of South Carolina (MUSC), Sami Al Kasab, MD, a clinical assistant professor of neurology in the Cerebrovascular Disease Division at the University of Iowa Carver College of Medicine in Iowa City, analyzed data on all patients evaluated through the MUSC Telestroke program from May 2008 through April 2014.12 With this technology, patients who had a stroke presenting with AIS at a rural hospital could receive expert evaluation and consultation within minutes. The investigators collected data on the numbers of patients transferred to MUSC, intravenous (IV) alteplase administrations, and mechanical thrombectomies performed on transferred patients, as well as the rate of symptomatic intracerebral hemorrhages (sICHs) and discharge location. Of the 7694 consults performed during the study period, 3795 (49.2%) of patients were diagnosed with AIS and 1324 were treated with IV alteplase. Over the course of the MUSC study, the number of participating sites increased from 6 to 19, whereas the percentage of transfers decreased from 36% to 14%—the telestroke program had evolved to include involve more sites throughout South Carolina. Additionally, this model allows for not only better outcomes but also opportunities for follow-up care. “In our experience, we found that implementing a teleneurology network where patients admitted for AIS workup are seen as a follow-up the next day by a neurologist to assure completion of workup and adjusting the plan based on the workup performed,” Al Kasab and colleagues wrote. Shea et al sought to identify the characteristics of 107 acute care hospitals associated with telestroke adoption in North Carolina, a state that has more rural counties (70) than urban (30).14 To identify variables relevant to telestroke adoption, this team of investigators used Consolidated Framework for Implementation Research constructs complemented by constructs identified in previous telemedicine studies.15 External and internal variables considered included the economic, political, and social context of an organization and the characteristics of the organization. The investigators had hypothesized that emergency department (ED) visits would be positively associated with telestroke adoption but found that this was not the case. Shea et al also considered financial factors. The study was, to the best of the authors’ knowledge, the first to analyze hospital financial variables in considering likelihood to adopt telestroke. They found that available resources (eg, Medicare reimbursement) may affect whether or not an acute care hospital allocates resources for the program and that hospitals located farther from telestroke hospitals are less likely to adopt the technology. Additionally, the authors noted that competitive pressure may run counter to the community’s need for telestroke service. “There are 2 key challenges to telestroke adoption among rural hospitals: access to knowledge and network selection,” study coauthor Kea Turner, PhD, MPH, MA, told NeurologyLive™. Turner is an assistant professor in the Department of Health Services Research, Management, and Policy in the University of Florida College of Public Health & Health Professions in Gainesville. “For example, some rural hospitals in our study were not part of a delivery system that offered telestroke or were geographically isolated from other hospitals participating in telestroke, which made it difficult to access information about telestroke networks, such as what services are offered [and] participation costs,” Turner said. “We also found that some rural hospitals, especially hospitals without a neurologist on staff, may find it difficult to assess which telestroke network offers the best advantage, such as high quality of care or technical assistance with implementation and performance measurement. “Therefore, it may be difficult for some hospitals to make an informed decision about which telestroke network to join,” she added. Shea et al identified acquisition of the necessary technology as another key barrier to telestroke adoption. One important finding that emerged during the study was that hospitals belonging to a network not operated by their integrated health care delivery system faced additional implementation challenges in comparison with hospitals in telestroke networks operated by their health care delivery system. Hospitals that were not part of a health care delivery system offering telestroke had to decide which technology (eg, telestroke robot) to purchase. For hospitals that were part of a delivery system offering telestroke services, the costs of the technology were covered. Additionally, Turner said, some hospitals purchased new technology after learning more about it through the implementation of telestroke—which she described as another key knowledge gap. “If a hospital has not participated in a telemedicine program before, it can be difficult to make decisions about which technology will be the easiest to use in practice and which features are most important for implementation,” she said. For example, if the robot being used is shared between the ED and intensive care unit, an easily moved one would be best. Commonality between electronic health record (EHR) systems could also pose financial and logistical obstacles to telestroke adoption. “Regarding EHRs specifically, challenges we heard about when hospitals have different EHRs included preimplementation issues around ensuring appropriate access—for example, credentialing and privileging, firewalls, and HIPAA [Health Insurance Portability and Accountability Act],” Christopher M. Shea, PhD, MA, MPA, an associate professor of health policy and management at the Gillings School of Global Public Health within the University of North Carolina (UNC) at Chapel Hill, told NeurologyLive™. Shea also serves as the faculty lead for the North Carolina Translational and Clinical Sciences (NC TraCS) Dissemination and Implementation Science Methods Unit and is a research fellow at The Cecil G. Sheps Center for Health Services Research at UNC Chapel Hill. He said that postimplementation of telestroke also proved difficult for some acute care centers and may constitute another potential logistical barrier. One study participant suggested developing an accreditation system for telestroke programs so that hospitals could have information to help them compare telestroke networks when deciding which network to join. The authors acknowledged that development of a profile of nonadopters of telestroke may require data from additional sources, such as existing telemedicine infrastructure—eg, internet capabilities—or a geographic/spatial analysis to reveal interrelationships between community and hospital characteristics. 1. Impact of stroke (stroke statistics). American Heart Association/American Stroke Association website. strokeassociation.org/STROKEORG/AboutStroke/Impact-of-Stroke-Stroke-statistics_UCM_310728_Article.jsp. Updated June 6, 2016. Accessed October 2, 2018. 2. Lattimore SU, Chalela J, Davis L, et al; NINDS Suburban Hospital Stroke Center. Impact of establishing a primary stroke center at a community hospital on the use of thrombolytic therapy: the NINDS Suburban Hospital Stroke Center experience. Stroke. 2003;34(6):e55-e57. doi: 10.1161/01.STR.0000073789.12120.F3. 3. Tong D, Reeves MJ, Hernandez AF, et al. Times from symptom onset to hospital arrival in the Get with the Guidelines--Stroke Program 2002 to 2009: temporal trends and implications. Stroke. 2012;43(7):1912-1917. doi: 10.1161/STROKEAHA.111.644963. 4. Adeoye O, Albright KC, Carr BG, et al. Geographic access to acute stroke care in the United States. Stroke. 2014;45(10):3019-3024. doi: 10.1161/STROKEAHA.114.006293. 5. Freeman WD, Vatz KA, Griggs RC, Pedley T. The Workforce Task Force report: clinical implications for neurology. Neurology. 2013;81(5):479-486. doi: 10.1212/WNL.0b013e31829d8783. 6. Facts: telestroke: connecting patients to quality treatment. American Heart Association website. heart.org/idc/groups/heart-public/@wcm/@adv/documents/downloadable/ucm_473486.pdf. Published March 2015. Accessed October 3, 2018. 7. Schwamm LM, Holloway RG, Amarenco P, et al; American Heart Association Stroke Council; Interdisciplinary Council on Peripheral Vascular Disease. A review of the evidence for the use of telemedicine within stroke systems of care: a scientific statement from the American Heart Association/American Stroke Association. Stroke. 2009;40(7):2616-2634. doi: 10.1161/STROKEAHA.109.192360. 8. Shazam Hussain, MD | stroke [video]. YouTube. youtube.com/watch?v=0KdyJrDNvq4. Published April 20, 2018. Accessed October 1, 2018. 9. Capampangan DJ, Wellik KE, Bobrow BJ, et al. Telemedicine versus telephone for remote emergency stroke consultations: a critically appraised topic. Neurologist. 2009;15(3):163-166. doi: 10.1097/nrl.0b013e3181a4b79c. 10. Sinn DI, Al Kasab S, Banerjee C, Ozark S. Rate of stroke mimics over telestroke. J Stroke. 2017;19(3):373-375. doi: 10.5853/jos.2017.00885. 11. Hubert GJ, Meretoja A, Audebert HJ, et al. Stroke thrombolysis in a centralized and a decentralized system (Helsinki and Telemedical Project for Integrative Stroke Care Network). Stroke. 2016;47(12):2999-3004. doi: 10.1161/strokeaha.116.014258. 12. Al Kasab S Adams RJ, Debenham E, Jones DJ, Holmstedt CA. Medical University of South Carolinatelestroke: a telemedicine facilitated network for stroke treatment in South Carolina—a progress report. Telemed J E Health. 2017;23(8):674-677. doi: 10.1089/tmj.2016.0229. 13. Martin AB, Probst JC, Shah K, Chen Z, Garr D. Differences in readiness between rural hospitals and primary care providers for telemedicine adoption and implementation: findings from a statewide telemedicine survey. J Rural Health. 2012;28(1):8-15. doi: 10.1111/j.1748-0361.2011.00369.x. 14. Shea CM, Tabriz AA, Turner K, North S, Reiter KL. Telestroke adoption among community hospitals in North Carolina: a cross-sectional study. J Stroke Cerebrovasc. 2018;27(9):2411-2417. doi: 10.1016/j.jstrokecerebrovasdis.2018.04.032. 15. Stevenson L, Ball S, Haverhals LM, Aron DC, Lowery J. Evaluation of a national telemedicine initiative in the Veterans Health Administration: factors associated with successful implementation. J TeleMed Telecare. 2016;24(3):168-178. doi: 10.1177/1357633X16677676.